bodyFi Signature workouts eliminate the excuse of not having time to workout, and the efficient training tools capitalize on every minute spent working out. No time is wasted on anything that doesn't involve your body. Proven, effective, and certified equipment taught by certified experienced trainers equals RESULTS. 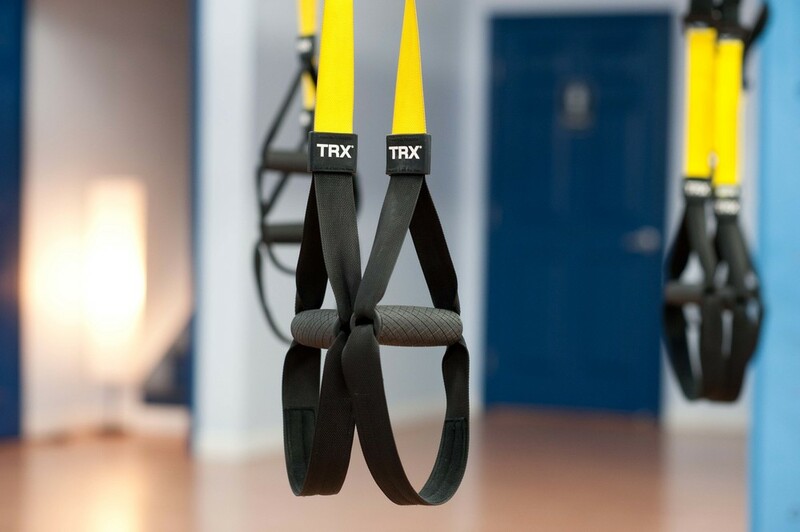 The TRX Suspension Trainer is a versatile tool, so all fitness levels are welcome. You’ll get a fast, fun and effective total-body workout--The bodyFi way! Designed for Navy SEALs, Suspension Training bodyweight exercise develops strength, balance, flexibility and core stability simultaneously. The TRX Suspension Trainer leverages gravity and your body weight to complete an infinite number of exercises. These bodyweight exercises develop strength, balance, flexibility and core stability simultaneously. 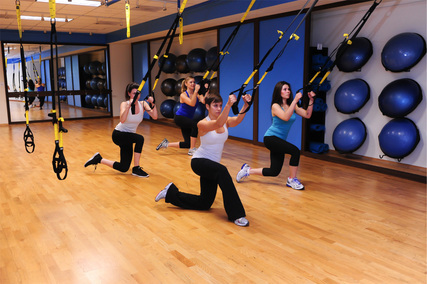 TIPS: All clients must first take a START: TRX class before signing up for our other TRX classes. This isn’t a beginner workout, just a special spot for new clients that earns them extra attention for the trainer to show them how to adjust and safely use the TRX. The ViPR tool provides linear, traditional strength training and whole-body integrated training. These factors make it important because your body will move in all planes of motion. 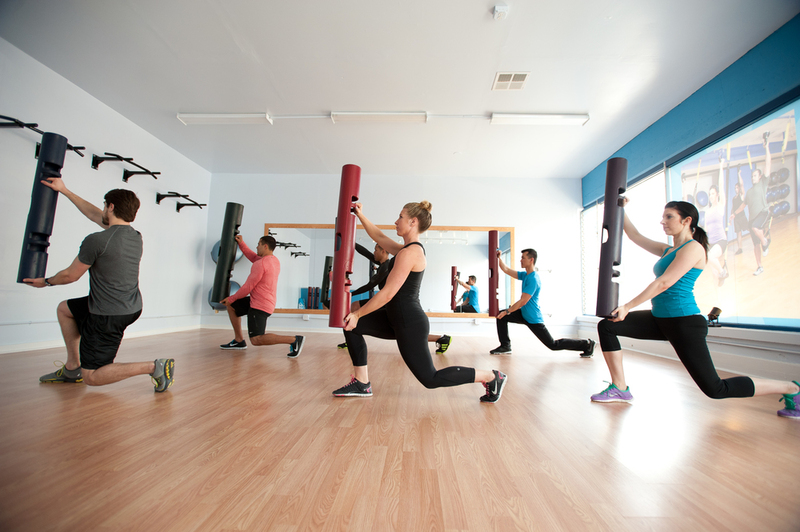 ViPR allows you to perform real-life movements while improving your athletic ability. ViPR comes in a range of weights, easily distinguishable by color. TIPS: Don’t underestimate the weight of the ViPR. You’ll be moving the ViPR throughout your workout and building endurance. Don’t make the mistake of choosing a ViPR that is too heavy! Your ability to perform the proper, safe movements is key. What is BOSU Balance Trainer? The BOSU Balance Trainer is a versatile tool for health, fitness, sports conditioning and rehabilitation. You’ll improve your body by training balance, building strength, fine tuning skills for sport, enhancing flexibility, and delivering killer cardio workouts! The BOSU Pro Balance Trainer works your entire body with integrated, multi-joint movement that requires your body to work all of its muscles. TIPS: Use the BOSU® Pro Balance Trainer dome or platform side down, combine it with other equipment, or use it as a stand-alone product to make any exercise fun, challenging, and effective. Kettlebells are the cannonball-shaped tool seen above. We recommend that you add this tool to any routine. Do you want to get a leaner, tighter figure without spending much time? If you’ve seen our classes on the schedule, but avoided them because you didn’t know what to use them for, sign up for a 6-PACK Class to learn more. The creator of battle ropes says that the key to their effectiveness is that they work each arm independently, eliminating strength imbalances as they sculpt your muscle. These weighted ropes work your total body and core because you move the ropes in all directions. Fundamental exercises called “the wave” and “crossovers” paired with slamming moves build endurance and power. Trust us, it’s harder than it looks. What are medicine balls? What are dynamax balls? This equipment can be thrown, caught, and struck with maximum force and velocity. It provides a training tool for life movements and functional training. 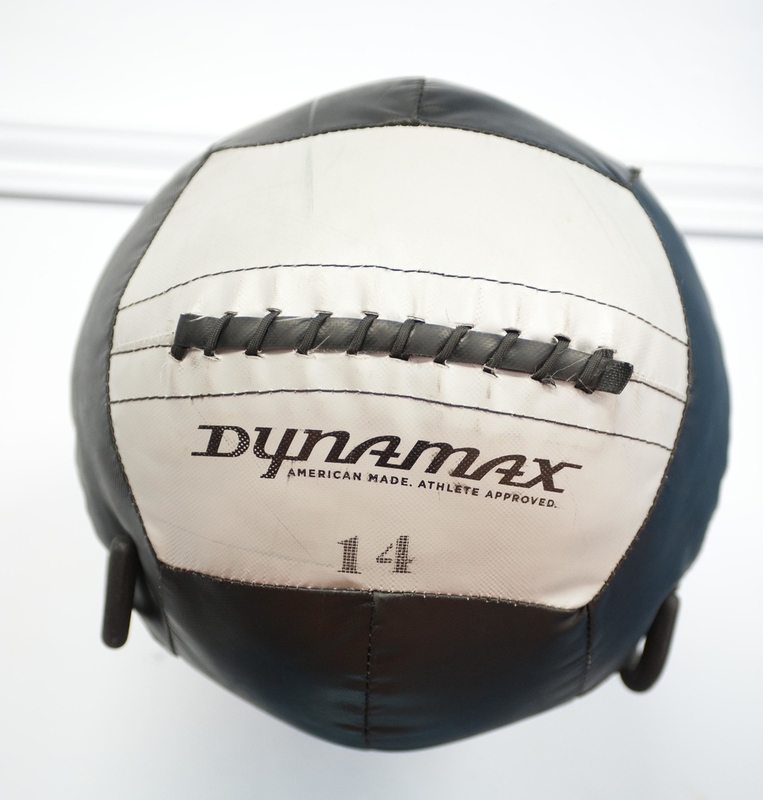 A medicine ball combines the qualities of a ball and the qualities of an impact absorbing mitt into one unit. TIPS: Choose a ball just heavy enough to provide resistance but not so heavy as to alter the structure and speed of the selected movement. 4, 6, and 8 pound balls work for everyone. Even though the resistance is the same, your velocity will increase with the strength, size and power. The heavier balls are used where slower, more strength related exercises are featured. Pilates Equipment used at bodyFi San Francisco. Reformer, EXO Chair, Springboard, and Balanced Body. The Pilates Reformer is a piece of equipment that provides resistance with a series of springs and ropes. Adding rings, weights, balls and dowels and you will develop strength, and flexibility. TIPS: Take START:PILATES: This class is designed for those brand new to Pilates and/or the Pilates equipment. Students will learn how to set-up and break-down equipment, personalize reformer settings, focus on breathing, body-awareness and the core principles that constitute the Pilates repertoire. PILATES PXT is our own unique twist on traditional Pilates Springboard. PILATES: CIRCUIT PXT Pilates X Training -This circuit workout uses Pilates-style exercises with the springboard, arc trainer, and mat to give you a total body burn. TIPS: Come ready to sweat! By adding cardio based core drills to the more classical Pilates moves , we eliminate unnecessary downtime between exercises that target opposing muscle groups, so your endurance is continually challenged. A classic Spine Corrector. You’ll appreciate the improved comfort and ergonomics - a gentler curve on the barrel and a more rounded step.